Don't know your RDC from your PCI? What about ACH from your MICR? 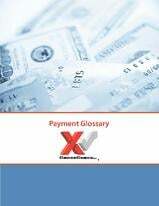 We've compiled the latest terms, acronyms, and abbreviations that relate to financial services, online security, and digital transactions in our new Payment Glossary.